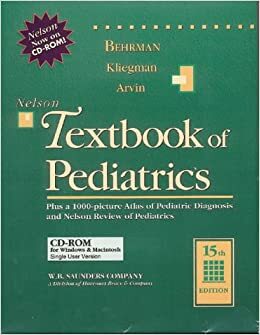 Forfar and Arneil's Textbook of Pediatrics. Edited by Neil McIntosh, Peter J Helms, Rosalind L Smyth, Stuart Logan. . Published by Churchill Livingstone, New York, 2007. pp 3200, £166 (hardcover) ISBN: 0443103968; Nelson Textbook of Pediatrics, Edited by Robert M Kliegman, Richard E Behrman, Hal B Jenson, Bonita M D Stanton.